What's New For the 2019 Mercedes-Benz CLA? The 2019 Mercedes CLA did not receive any major changes from the previous year except the AMG® CLA 45 is now equipped with more standard features. This model also has two additional optional packages. The CLA 250 also receives a new paint scheme. What are the Latest Features on the 2019 Mercedes-Benz CLA? The Mercedes CLA has two available trims: CLA 250 and the AMG® CLA 45. 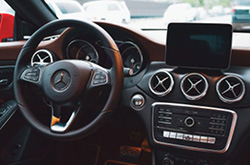 The CLA 250 comes well equipped with 17-inch rims, two USB ports, automatic wipers, two SD card slots, selectable driver modes, a CD player audio system, dual-zone automatic climate control, Mbrace emergency telematics, simulated leather upholstery, a drowsy driver alert system, power front seats with memory functions, forward collision mitigation, split-folding rear seats, a backup camera, Bluetooth, an 8.0-inch infotainment display, and Mercedes COMAND infotainment system. The AMG® CLA 45 upgrades to 19-inch rims, a 12-speaker Harman Kardon surround sound system, LED running lights and headlights, a sport steering wheel and exhaust system, simulated suede cabin, and special styling and aerodynamic accents. The optional Premium package includes keyless entry, satellite radio, push-to-start ignition, a hands-free trunk, heated front seats, and blind-spot alert. The Convenience package adds a universal garage door opener and auto-dimming mirrors. The Interior package upgrades to ambient lighting, leather interior, and an improved dash and trim. the Multimedia package upgrades to a GPS navigation system, smartphone integration for Apple and Android, and voice controls. The Driver Assistance package adds adaptive cruise control and lane departure alert. A number of the AMG® styling options are available for the CLA 250. 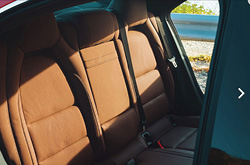 Other key add-ons include a Harmon Kardon surround sound system, an automated parking system, a panoramic sunroof, and an adjustable suspension. For this year, the AMG® CLA 45 includes the Premium and Convenience packages as standard equipment. 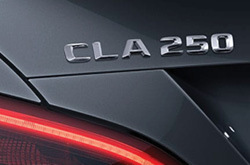 The CLA 250 is powered by a 2.0 -liter turbocharged four-cylinder engine that produces 208 hp and 258 lb-ft of torque. It is mated to a 7-speed dual-clutch automatic transmission. The AMG® CLA 45 is powered by a stronger 2.0-liter turbocharged four-cylinder engine that pumps out an impressive 375 hp and 350 lb-ft of torque. It is also mated to a 7-speed dual-clutch transmission. The CLA has precise steering and good braking. Front wheel drive is standard on the CLA 250 and the Mercedes 4Matic all-wheel-drive system is optional. The 4Matic system is standard on the AMG® CLA 45. Which Safety Features are Available on the Mercedes CLA? The CLA has a full complement of standard and optional safety features such as airbags, Active Brake Assist, ATTENTION ASSIST®, Lane Keeping, Blind Spot and Active Distance Assist. For additional information or to test drive the 2019 CLA, come visit Husker Mercedes today. 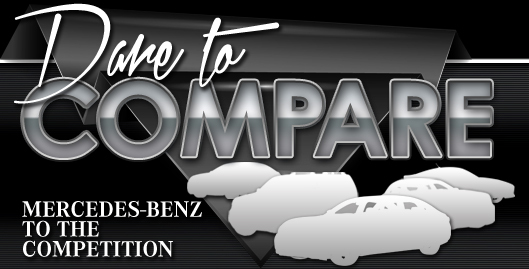 We will be happy to assist you with your needs because customer satisfaction is our top priority.